Chilling in Sen. Bob Corker’s office awaiting our tour of the US Capitol. 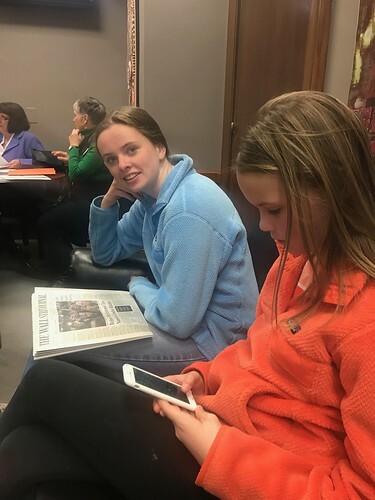 Aspen, unlike most 16 year olds, is reading The Wall Street Journal while Lou, like most 11 year olds, is playing on her iPod. Both don’t want their picture taken. Not surprisingly, Fox News (ugh!) 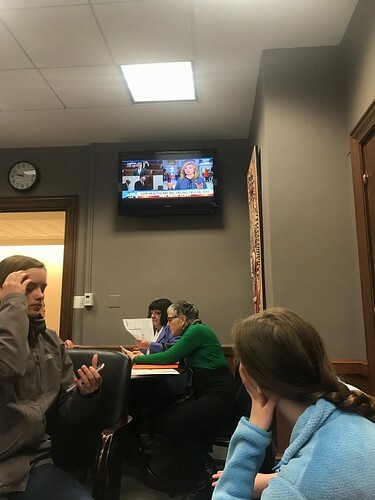 was on in Sen. Corker’s office and our very own Rep. Marsha Blackburn (double ugh!) was being interviewed about the American Health Care Act which was to be voted on that afternoon. Notice Oakley holding her head in her hand. “What?! 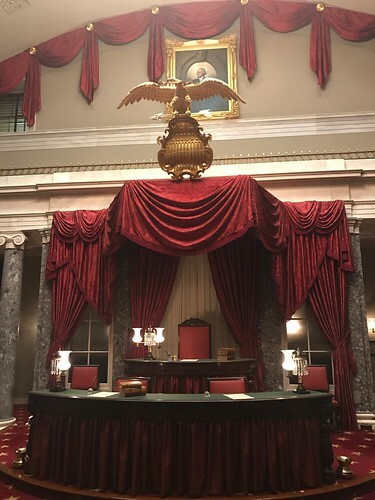 There’s a big vote today in the House? 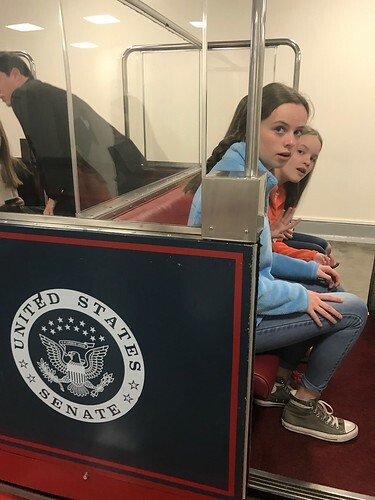 On our way!” As part of our tour, we took the cool underground tram from the Dirksen Senate Office Building to the Capitol. 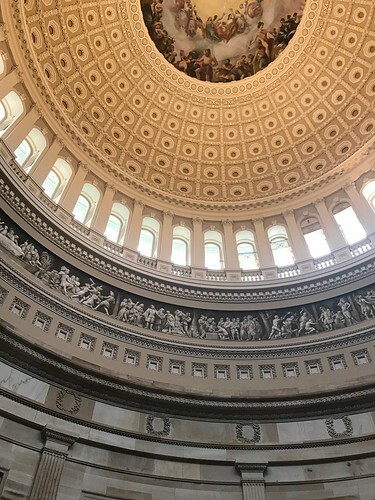 The US Capitol Subway System has been dubbed the “shortest and most exclusive railway in the world” because it’s only accessible to Congress and approved guests, like us. 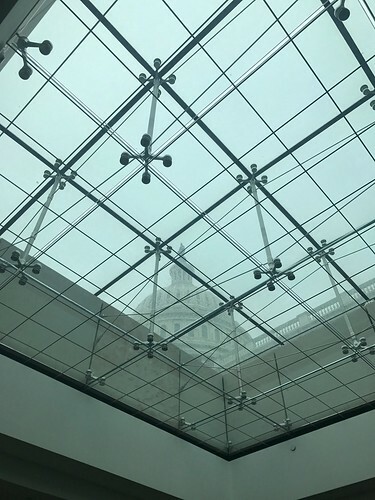 It was a overcast but you can still see the Capitol’s rotunda through the skylights in the Visitor Center. 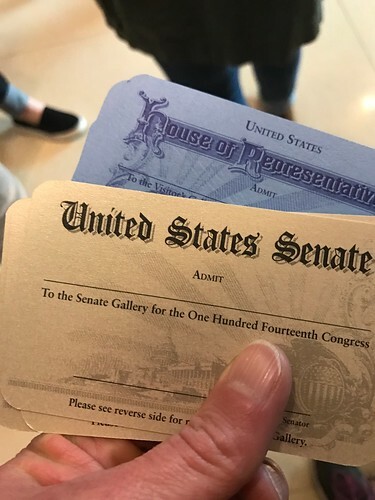 Our passes to the Senate and House galleys. Unfortunately, we weren’t able to use them. 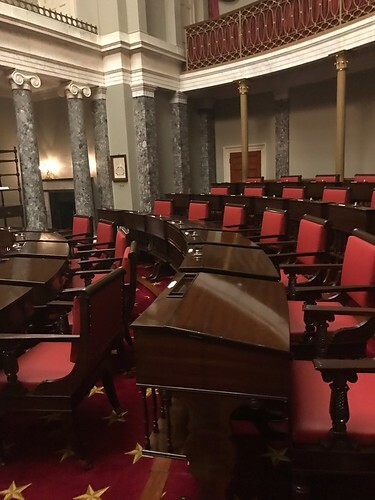 As is common on Fridays, the Senate was in recess, so its galley was closed. 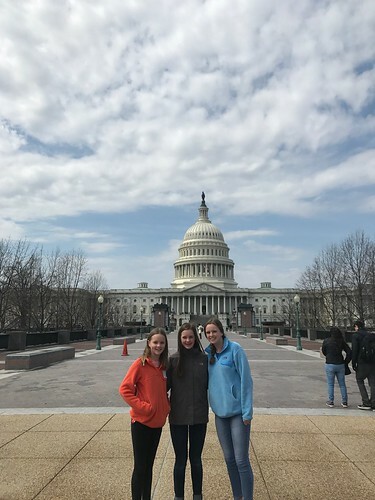 The House of Representatives was the place to be on March 24th. The healthcare vote was scheduled for that afternoon, turning what normally is no wait into an estimated a 2-3 hour wait. We waited in line to see the House for about 45 minutes without moving and then decided to leave to grab lunch before our scheduled 2 pm tour of Georgetown. The vote was eventually called off.